How do I place calls from the mobile app? How do I place calls to contacts within my company from the mobile app? How do I answer calls from the mobile app? A. How do I place calls from the mobile app? 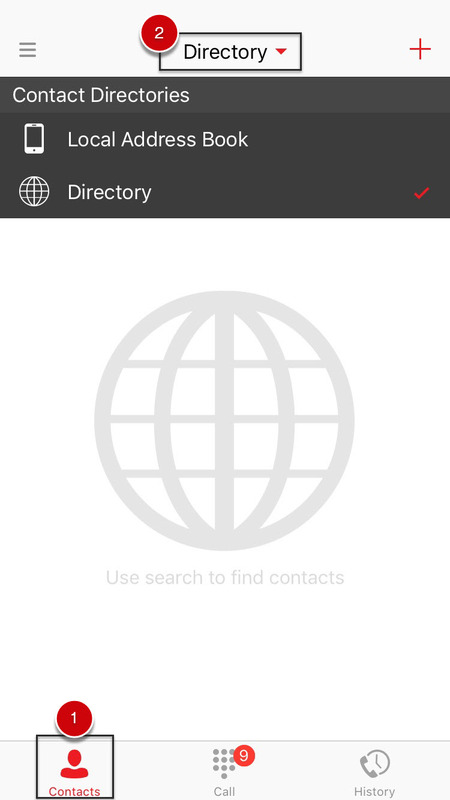 Several options for placing calls are presented on the Mobile App. These functions can be used with the Communication Buttons, input a number to Dial for Voice or Video Calls by clicking the Call Pad Button. 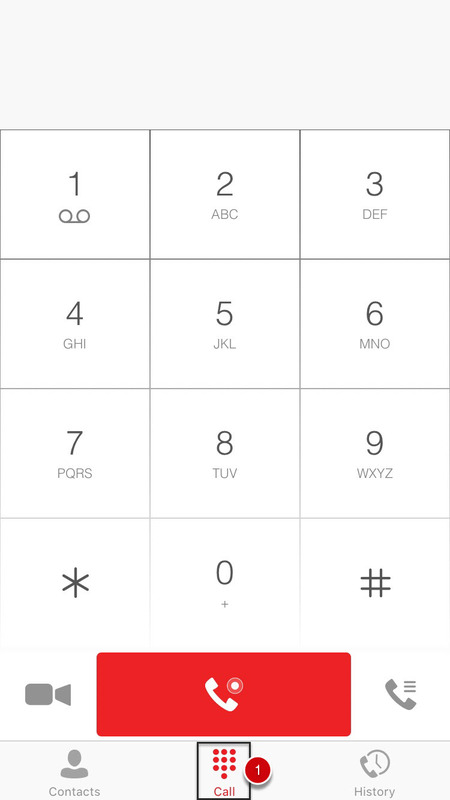 Enter the phone number using the dialpad. Tap the red phone icon to place your call. B. How do I place calls to Contacts within my company from the mobile app? And tap the Directory tab. Search for the contact by entering their name or partial name in the search field. 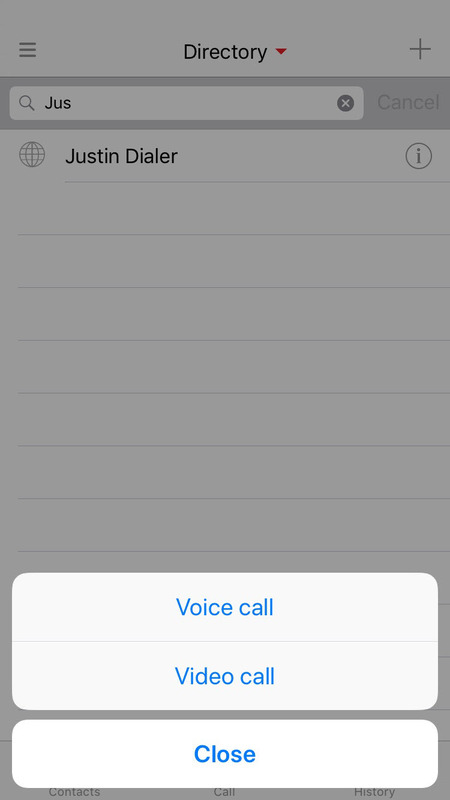 Once you find the contact, tap on the contact and select Voice or Video Call. This will place the outbound call. Please note: Depending on your settings, you may be prompted to indicate how you wish to complete the Outbound call. C.	How do I answer calls from the mobile app? 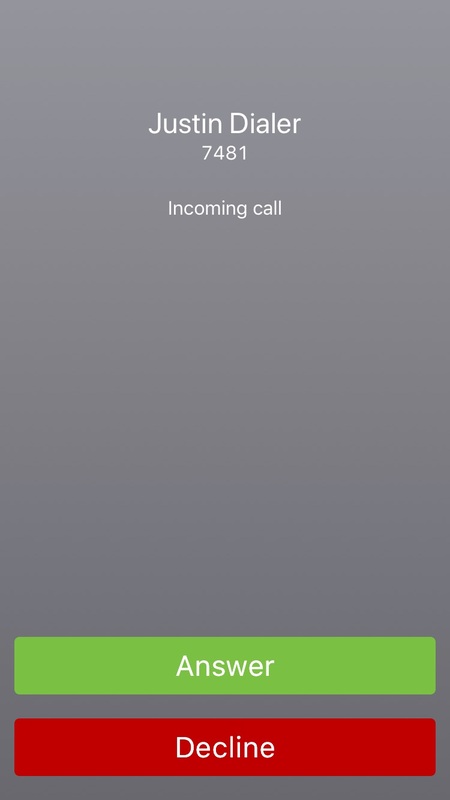 When you are receiving an incoming call, a pop-up notification is displayed on your screen. You can choose to answer the call, or decline the call. Tap on the Answer button to answer call. To decline the call, tap on the Decline Button.